LEGO ERA |OT| Rebuilding One Brick at a Time. And bilbo is about ready to fight back against these rowdy house guests. 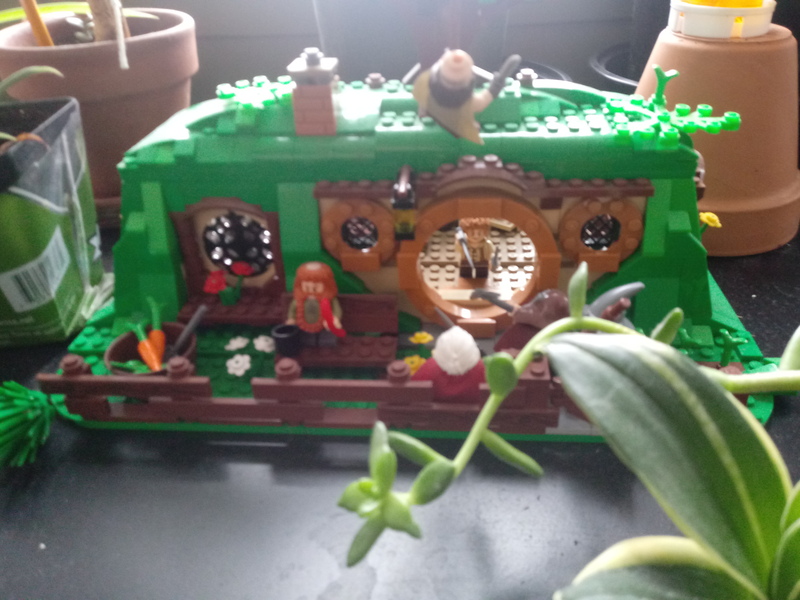 It's springtime, I built it out too! Cleaning - nothing more than soapy water and agitation. 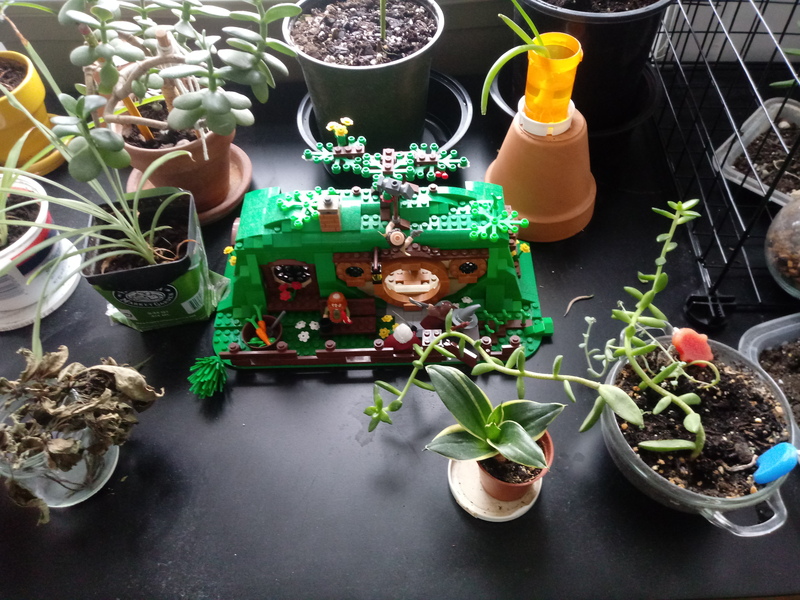 I've bulk-cleaned lego by putting it in a tightly-sealing tupperware or storage box and giving it a good shake with warm soapy water. Faded/yellowed parts can be "refreshed" by putting them in Hydrogen Peroxide (ie. the stuff used for hair bleaching) in sunlight for a day. This is only a temporary measure though. The yellowing will return after a year or two, potentially worse than before. Hey question, if I keep a box of lego unopened, will the bricks yellow inside the box? Reminds me of the Gobot base. Ah I didn't know about the yellowing. This would have been a great reason to skip those Star Wars sets I picked up. I don't know if it yellows or not. Perhaps someone with an older set which they recently opened can tell us if it does? cool that's good to know! Whoa, this is great news! t has become apparent to us at the LEGO Group that you are dissatisfied with the recent launches of regional exclusive products. We’ve received a lot of feedback on the LEGO festival products to mark the Chinese New Year (80101 Chinese New Year's Eve Dinner and 80102 Dragon Dance), the LEGO The Movie 2 Brickheadz (41634 Emmet, 41635 Wyldstyle,n 41636 Benny & 41637 Sweet Mayhem) in the US as well as 75227 Darth Vader Bust. Because of this feedback and concerns from you, our dedicated and most loyal fans, we have decided that regional exclusives launched after May 1, 2019 will become widely available via LEGO Brand Retail stores and LEGO Shop at Home after a limited period of time (3-6 months) of the initial launch. I know they said releases after May 1st 22019 but I hope we get the CNY sets. Really wanted that Dragon Dance set, but good to knkow that going forward those sets will be possible to get (without paying an arm and a leg).